Aww, someone decided that they no longer need inspiration. That, or they’ve simply given up. Not sure how to feel about this one. 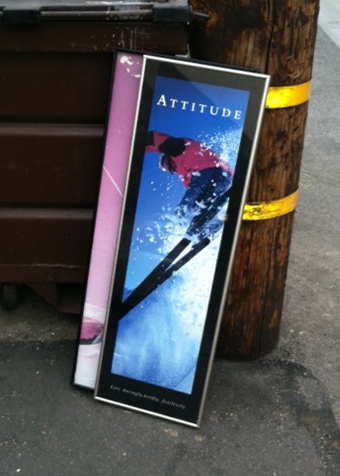 Regardless, I’m taken with the symbolism inherent in a framed motivational poster bearing the word “attitude” and being slumped against a dumpster.